"We use merino wool in many pieces of our collections. So much so that we didn’t leave this marvellous material behind when time came to produce our finest ever range. We knitted it with silk to a fine, yet strong structure to create these perfect-for-layering jumpers. The lustre and refinement they lend business casual attire is astonishing." 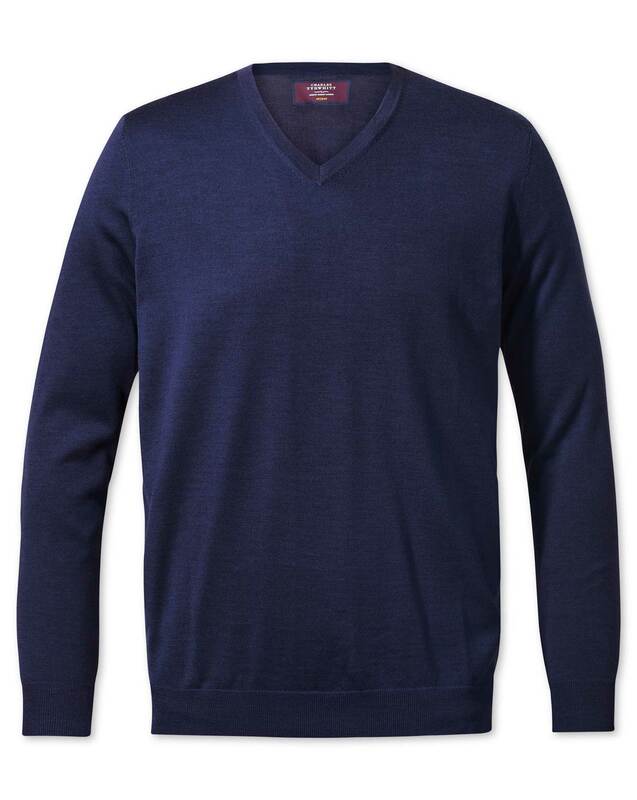 "Luxurious merino-silk knitwear; rich in color, with the subtle sheen of the silk for an elegant look." Love it, fits well and looks handsome.